Apple is continuing to face scrutiny over the power management features it introduced in older iPhones last year, with the U.S Department of Justice and the U.S Securities and Exchange Commission launching an investigation into the company, reports Bloomberg. The DoJ and the SEC are aiming to determine whether Apple violated security laws "concerning its disclosures" when it launched an iOS 10.2.1 update that throttled some older iPhones with degraded batteries in order to prevent unexpected device shutdowns. According to Bloomberg's sources, the government recently requested information from Apple and the investigation is in the early stages. 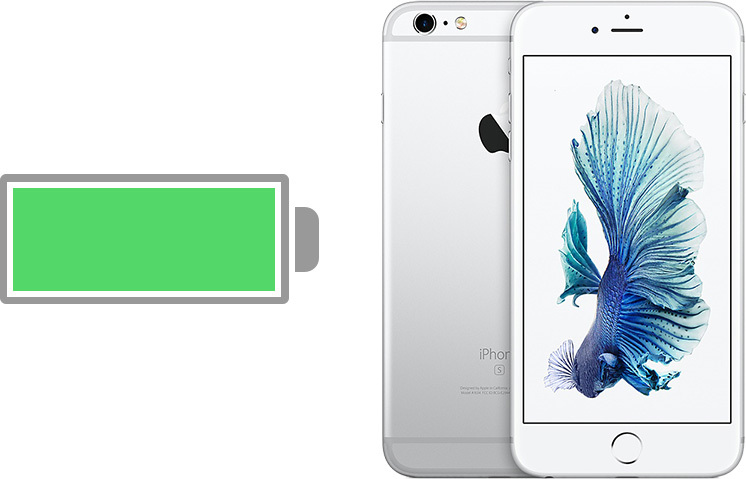 Apple in iOS 10.2.1 introduced a new power management feature to address complaints of unexpected shutdowns in iPhone 6 and 6s iPhones. The shutdowns were caused by batteries below optimal health drawing too much power. At the time, Apple did not make it clear that to solve the issue, it was throttling the iPhone's processor at times of peak usage to limit power draw, and that lack of information has led to the company's current predicament. The full details behind the power management feature implemented in iOS 10.2.1 were not explained until benchmark testing revealed older iPhones with degraded batteries were being deliberately slowed down, and without an adequate explanation from Apple, customers were outraged and dozens of lawsuits were filed. Apple has since apologized and made reparations in the form of a new no-questions-asked discounted battery replacement program available to customers who have an iPhone 6 and newer, and the company is planning to introduce much more detailed battery information in an upcoming iOS 11.3 update. iOS 11.3 will let customers know when their iPhones are being throttled due to battery degradation, and it will also allow them to opt out of the power management features. Despite these efforts, Apple is still facing the aforementioned lawsuits and in addition to the U.S. investigation, the company will need to deal with inquiries in other countries including China, Italy, South Korea, France, Brazil, and more. Update: Apple has confirmed to Bloomberg that it is responding to questions from some government agencies. Apple can do whatever they want with managing CPU and battery performance on any device at any time. "Alpha" type of company don't apologize. They correct their mistake asap. "Beta" companies apologize over and over and never learn anything. Do you have some sort of a masculinity complex? Apologizing when you seriously effed up isn't "beta". Bunch of old white men with no technical background whatsoever "investigating" something which they know nothing about and of which absolutely nothing will come, except a complete waste of taxpayer dollars. This has gotten beyond absurd. Apple can do whatever they want with managing CPU and battery performance on any device at any time. It is beyond insane to suggest that anyone outside of Apple has any right to any particular level of CPU performance at any given time. Tim Cook has embarrassed Apple by admitting wrong where none existed and has opened the company to undue scrutiny. Actually, they can't, if I purchase a device, I expect it to operate per the specs I purchased it at over the life of the product. Yes, I understand at some point it will wear out and stop functioning, but I don't expect the manufacturer to slow part of it down because another part is degraded and I definitely don't expect them to do this without telling me. Add to that, if I take the product in for repair, I then get told that I need to replace the product completely with a brand new one, when really simply changing the degraded part at a fraction of the cost would have fixed the issue. Are you beginning to see where there is wrong doing here? Apologizing when you seriously effed up isn't "beta"
I actually consider admitting and apologizing for your mistakes is the most alpha move of all. Haha and watch that share value drop even further, serves them right! I cannot wait for the EU to start their investigation.. their fine will sting Apple! Please put resources elsewhere, what a waste of time. That's not a racist statement. It's factual. It is a bunch of 60+ year old white men with little understanding of technology. You're describing Tim Cook and other Apple executives.